Bringing together the finest in jewelry and leather craftsmanship. 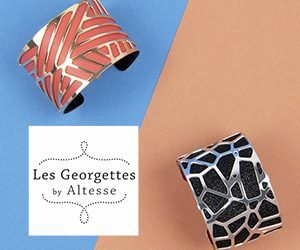 Created by Maison Altesse and Texier, Les Georgettes is an innovative concept which combines customizable jewelry with interchangeable colors. With Les Georgettes, change the color of your jewelry to match your outfit, your handbag… or your mood!